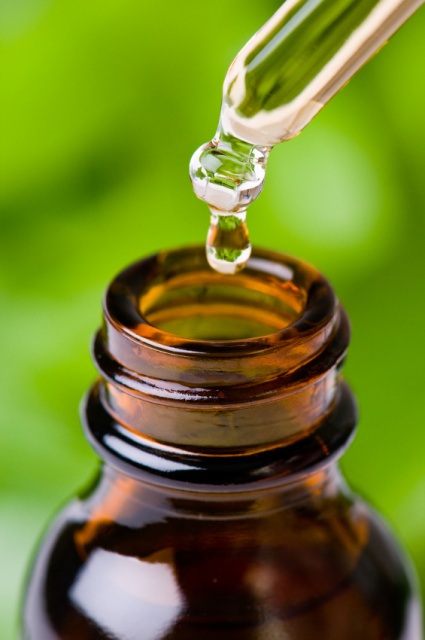 Here's an exercise that demonstrates the power of aroma on the brain and how any treatment for anxiety that involves therapeutic essential oils may improve results. The American physiologist Paul D. MacLean spent his career studying the brain and in particular the limbic system. He explains that our brain is actually three superimposed brains, which he relates to the evolutionary process. He called them the reptilian brain, the mammalian brain, and the neo-cortex. Each brain is independent from the other two in certain ways. The primitive reptilian brain manages our ability to survive. Hunger, thirst, sexuality, and self defense are governed by this brain. The limbic system is next. It is called the brain of the passions. It is in charge of emotional memory, food cravings, aggression, and maternal behavior. Our sense of smell is tied most directly into this area—the “heart” of the brain—the area of passion and pleasure. All our other senses are primarily associated with the neo-cortex. Here’s an experiment to show how it works. Step 1: Think of an experience associated with your sense of sight. Picture a favorite location. Think of all the words that come to mind to describe it. Get a sense of the number of words. Step 2: Think of a wonderful listening experience. Maybe it was a concert or favorite atmospheric sounds. Think of the number of words. How many rush into your mind? Step 3: Think of a delicious taste experience. How many words could you think of to describe this taste? Step 4: Think of a tactile (texture) experience. Perhaps it’s a fabric, sandpaper, leaf or tree bark. Think of how many words come to mind to vividly describe that experience? Step 5: Think of an experience with your sense of smell. Think of as many words as you can to bring back the actual smell you are describing. Step 6: Evaluate the five senses. Which one was easiest? Which had the greatest number of words? Which came more quickly, and which took longer? For most people the sense of smell is hardest to describe because it is experienced primarily within the limbic brain, the part of the brain with few logical words to describe an emotion or feeling. Aromatic signals go directly to your brain without passing through your thought processes like your other senses. Aromas can instantly create a mood, a bond, a liking or a disliking without any conscious thought at all. For this reason aromas can anchor strong feelings, break self-destructive emotional habits, and create relaxing or stimulating emotions that are difficult to manage in other ways. As you work with essential oils, you will find yourself finding emotional pleasure that you cannot put into words. You may find that aromas you use a lot for better health become extremely attractive to you emotionally, though at first they were not appealing. It will be interesting to experiment with your limbic brain and see which oils emerge as your favorites. You’ll also find yourself gravitating emotionally to different oils at different times. If you keep records you may learn something important about yourself, your emotions, and what your body is craving. 1. Scan through the descriptions of the “emotion oils” on our website (www.youroilessentials.com). Decide which kinds of behaviors and emotional responses you would like to have and order a few of these oils. 2. Give yourself a positive experience with these oils. Anchor them in your emotional sub-conscious by using them during good, calm and happy times. Diffuse them. Use them in a relaxing bath. Put them on your pillow and enjoy them when you’re feeling great. 3. Then when anxiety, conflict or negative emotions show up, use these oils to turn your emotions around. It may start with a conscious process at first, but soon you’ll find your emotions automatically flowing where you are directing them with these aromas. Your thoughts don’t have to linger in negative emotions if aromas can help them flow in a better direction. 4. Go through the oils you enjoy using and try to identify the emotions they bring up. For example, if Heart Song is especially pleasant for you, then use it often in happy times. Then use it occasionally to calm anxiety, fears or grief. 5. Don’t try to reverse-engineer your emotions. For example, if you only wear Heart Song when you are anxious, fearful or in grief, your limbic brain may begin to associate Heart Song with these negative emotions. Make sure your particular aroma locks in the right positive emotion, then use it for that purpose.